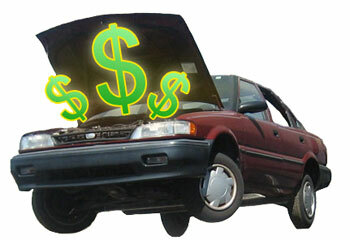 Cash for junk car Victoria BC specializes in the removal and disposal of scrap vehicles. We accept all types of junk or scrap vehicles, such as trucks, vans, and cars. We offer FREE TOWING for all scrap vehicle removal or disposal and pay CASH for all scrap cars. If your vehicle has broken down or needs to be disposed of, whether it is a family car, transit van, motorcycle or heavy goods vehicle, then we can help. Scrapping or disposing of your old or damaged vehicle is hassle free. Step 1. Call us for to arrange a quick pick-up. Step 2. Arranged a time that is convenient for you, and for us to pick up your car. Step 3. Sign the vehicle transfer form, and get cash for your car right away. Refer someone and get bonus cash! Cash for junk car Victoria BC specializes in the removal and disposal of scrap vehicles. We accept all types of junk or scrap vehicles, such as trucks, vans, and cars. We offer FREE TOWING for all junk vehicle removal or disposal and pay CASH for all JUNK cars. A. Call us for to arrange a quick pick-up. B. Arranged a time that is convenient for you, and for us to pick up your car. C. Sign the vehicle transfer form, and get cash for your car right away. Want your junk car gone today? Don’t wait call us now! Do You Have an Unwanted Vehicle in Your Driveway? 1. An old unwanted car parked in your driveway is not only unsightly, but could become a breading ground for mold, and a home for rodents — mainly rats. Once rats and mold become occupants of your vehicle, there is a likelihood that you may never be able to make use of that your car again. Even if you decide to get your vehicle detailed, the problem will persist, and you may end up paying a hefty price with your health, and your wallet. 2.Having a parked unwanted car may also encourage certain types of people to take up resident in it, while others may decide to take it for a joy ride. A parked un-insured car may also hurt your home insurance coverage, and the worst scenario is that it could cost someone his/her life . We love to participate in local communities’ parade events. Recently, we participated in the 2013 Buccaneer Day’s In Esquimalt! It was a great day and we wanted to share a short video clip with you. We believe in giving backing to the community . We do so by providing free car towing at events like Buccaneer Day’s. We also donate batteries and free junk cars to some local high school auto shops so the students have something to practice on and work with. Here we are in the 2013 Buccaneer Day’s In Esquimalt! 1. Find a junk car removal company that is of good standing . Ask friends or neighbors for a referral . 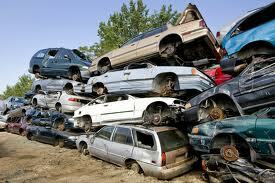 Once you locate a junk car removal company , call the company and get a quote for your vehicle. I recommend shopping around for more than one quote. If you are happy with the quote , your next step is to arrange a time to have your vehicle tow away. 2. Arrange a time that is convenient for you to have your vehicle towed . Consider the time of day and the weather condition . Avoid scheduling the tow around rush hour or wet and depressing day.Once you have scheduled the tow, begin preparing your vehicle for the tow. 3. Remove all your personal items out of the vehicle, and remember to take any other items that may be of interest to you . This include items such as , CD player, Iphone charger, MP3 player, camera, battery, etc. 4. On the day of the tow , have your vehicle registration ready for the tow truck – say good bye to your baby one last time , and collect the cash for your vehicle . I hope that you find this information useful and happy junk car shopping.